Why Does Google Change Website Rankings Over Time? Time and time again we see websites launch with average organic rankings (search page results that are based on the algorithms of the search engine, not paid search engine marketing) at the 3rd-5th page, only to drop drastically later on. We also see this happen when a peak in organic website visits is followed by a significant drop. Both cases lead to clients asking us: Why?! In April, Matt Cutts, head of Google’s Webspam Team, released a video discussing the reasons behind this phenomenon. A search engine is created to return the best quality results for the search terms entered. When a new website or page is pushed live, the search engine has to provide its results based on what limited information is available for that new website or page. Take, for example, the Oklahoma tornado earlier this year. The information ‘pool’ started very small and grew dramatically within the first hours following the tragedy. 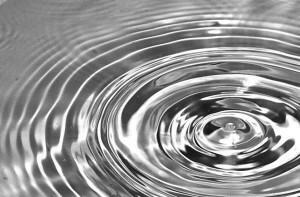 It continued to grow exponentially as time went on — much like ripples in the water. Search engines ‘learn’ in the same way – in waves. As more information becomes available, search engines soak it up and then use it to select which results should be delivered to users. Additionally, the more people conducting quality searches and engage in online conversations about a subject, the faster the search engine works. I emphasize the word ‘quality’ because people sometimes think that they can search for their website over and over to influence the search results. Sorry, but Google is smarter than that and factors out those searches. So does a drop in website rankings mean that we don’t have a relevant website? Not at all. It simply means that your website has been moved to the middle or end of the line and must earn its way back to the front (top rankings). I hope this helps explain one of the hundreds of strange happenings we see in organic search. The post Why Does Google Change Website Rankings Over Time? appeared first on Search Optics Blog.